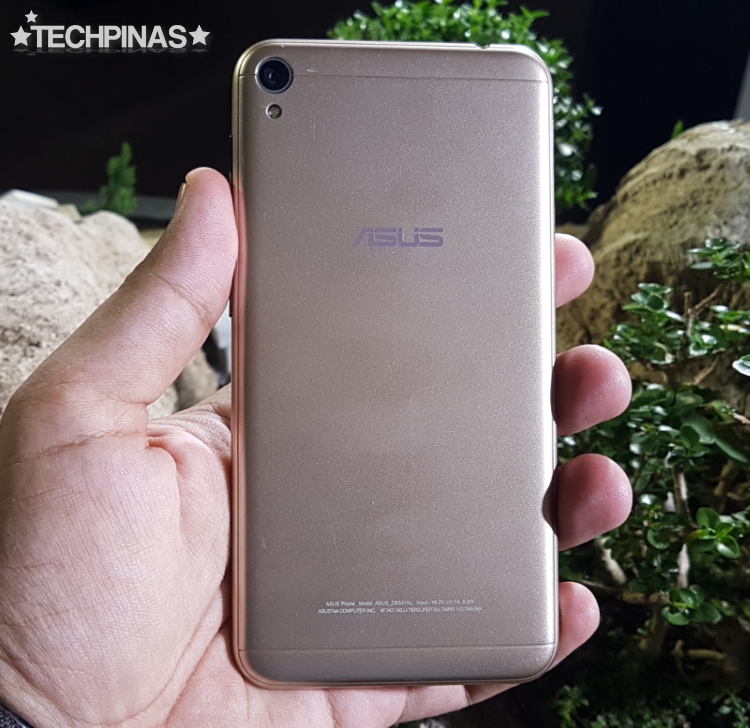 If you love broadcasting yourself live on Facebook or if you simply enjoy sharing videos of yourself on Instagram, I think you'd appreciate the main feature of this new Android smartphone from Asus. 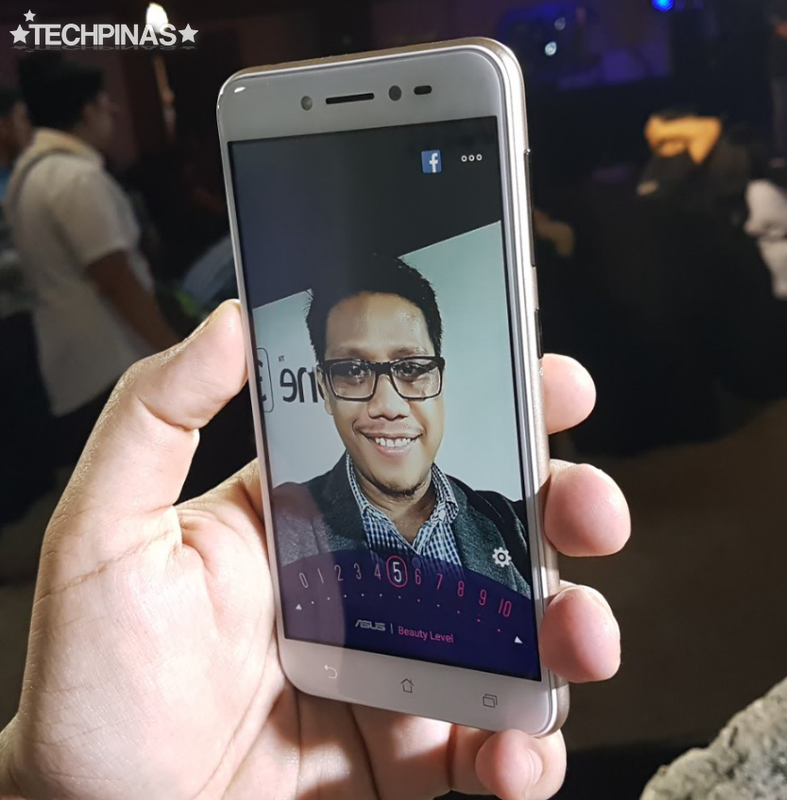 The fairly affordable Asus ZenFone Live features real-time video beautification. This means that it comes with pre-installed imaging software that automatically evens out skin-tone and enhances good facial features live or while you are recording or broadcasting a video of yourself. 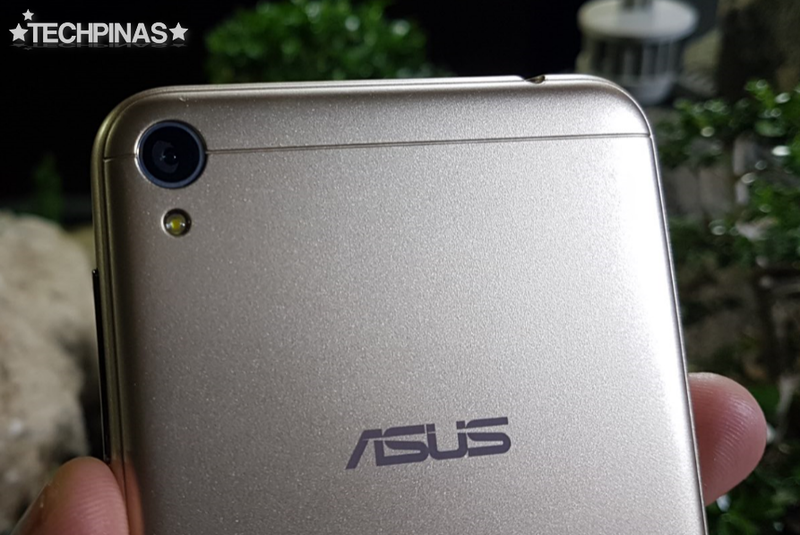 Prior to this release, this beautification feature used to be limited to Selfie photos - at least, from Asus. I think it's great that its now integrated into this phone's video recorder and I hope that it would soon come to high-end models. The real-time video beautification app offers 10 Beauty Levels: Level 1 with the least enhancement and Level 10 with most intense skin clearing. 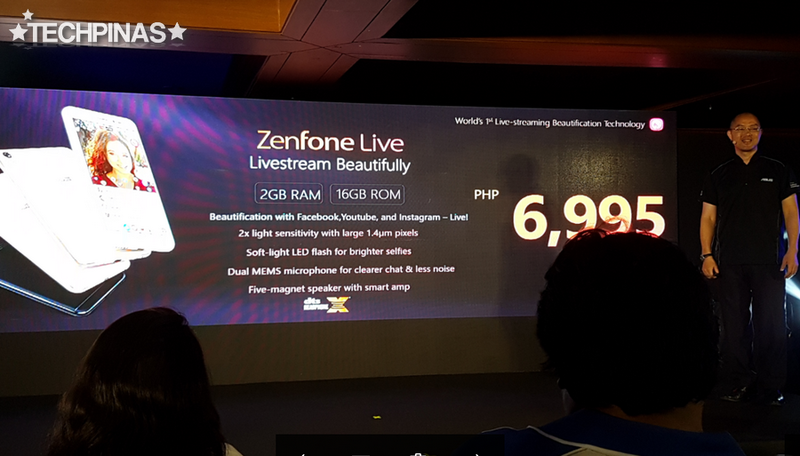 Side Note: Watch the official announcement of Asus ZenFone Live in the Philippines. The exclusive media event was held at The Penhouse (Lepanto Building) in Makati City last April 5, 2017. Alright! Now, let's talk about the phone's key technical specifications. 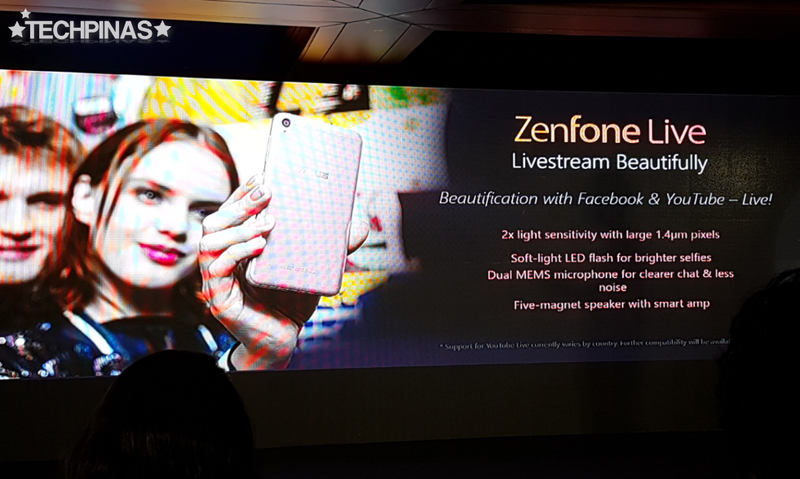 On the outside, Asus ZenFone Live sports a 5-inch HD IPS display panel underneath its 2.5D curved glass face. The screen looks clear and crisp when viewed from various angles and the touchscreen meets seamlessly with the shell to make the handset feel more solid and durable. 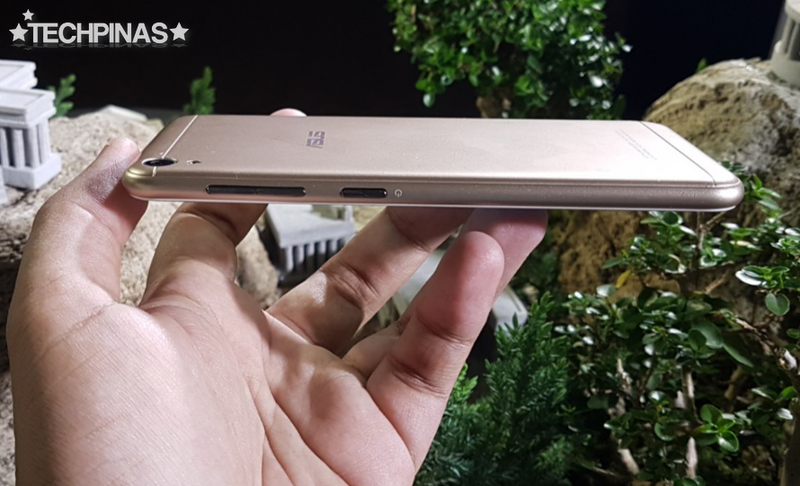 At the back, the device is equipped with a 13 MegaPixel autofocus camera with LED flash and f/2.0 aperture for good low light performance. 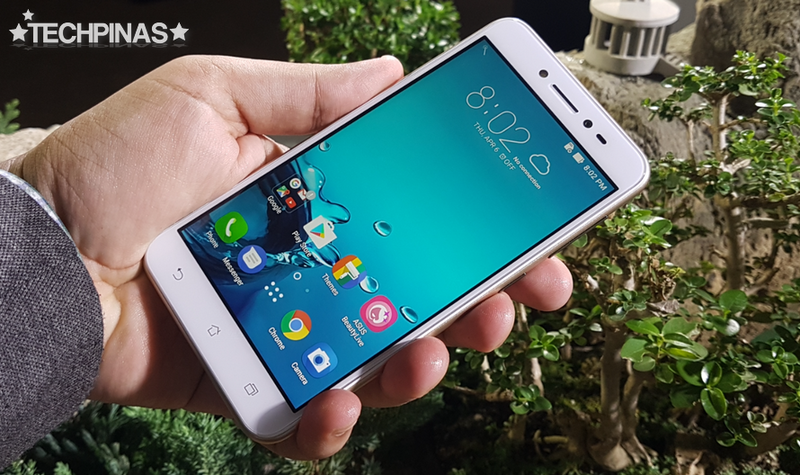 This shooter is complemented by a 5MP f/2.2 front cam - with Soft LED flash and 1.4 µm pixel size - that delivers clear and crisp selfies in various lighting conditions. The rear camera is also capable of recording Full HD videos at 30 frames per second. One of the special features of this model is its 5-magnet loud speaker with smart amplification that's notably clearer and louder than what's on competing devices in this price echelon. 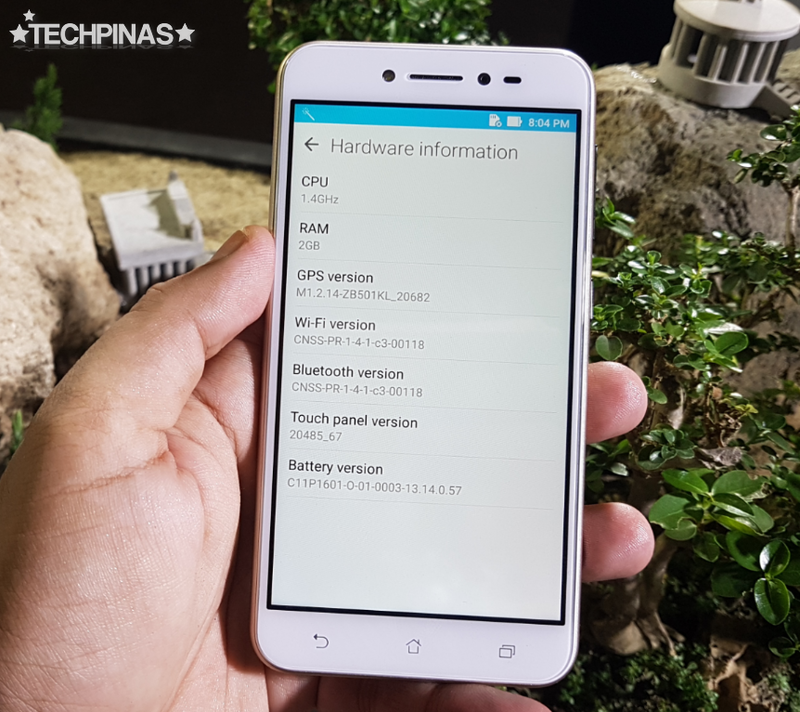 Under the hood, Asus ZenFone Live runs its Zen-UI-flavored Android 6.0 Marshmallow OS with a Quad-Core 1.2 GHz ARM Cortex-A53 and Adreno 306 GPU based Qualcomm MSM8916 Snapdragon 410, has 2GB of RAM, and comes with 16GB of ROM, which can easily be augmented via the hybrid secondary nanoSIM slot that shares its space with a microSD card slot. 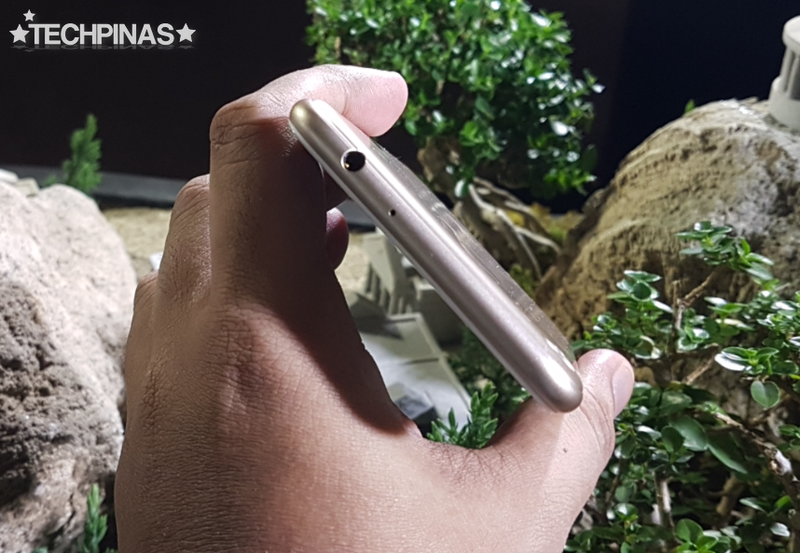 This handset has Dual SIM Dual Standby capability - should you opt not to use a microSD card to expand storage - and supports 4G LTE mobile connectivity. 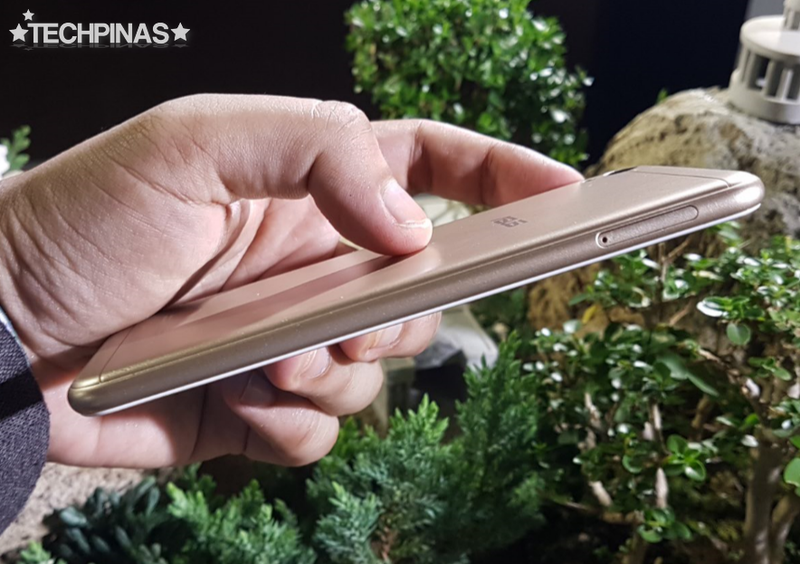 In terms of design and build, Asus ZenFone Live flaunts a svelte polycarbonate rim and back plate with elegant metallic sheen. The paint job is so good that I actually thought the body is made of real metal when I first the device. 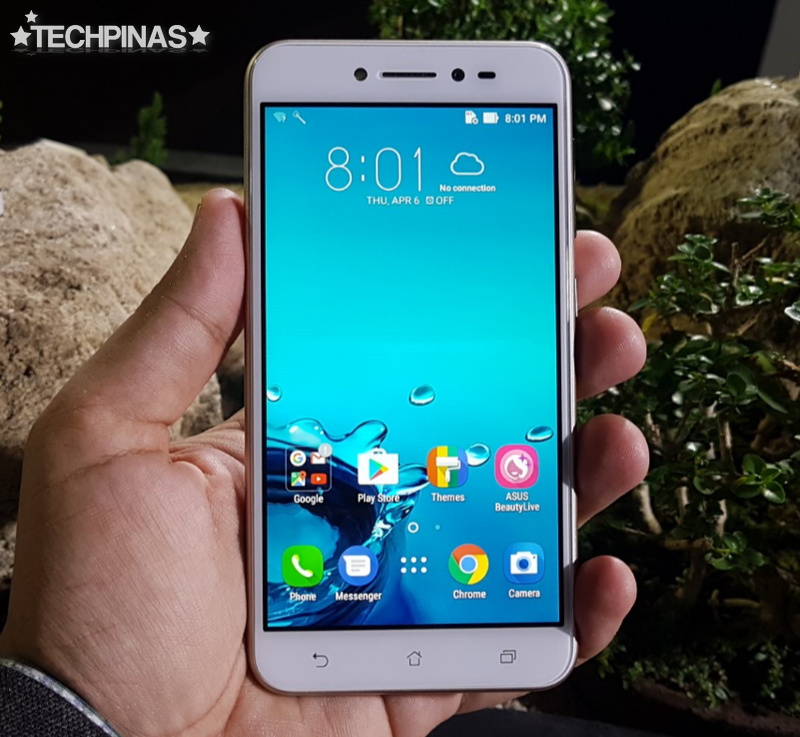 The handset's face is largely similar to that of current ZenFone models. 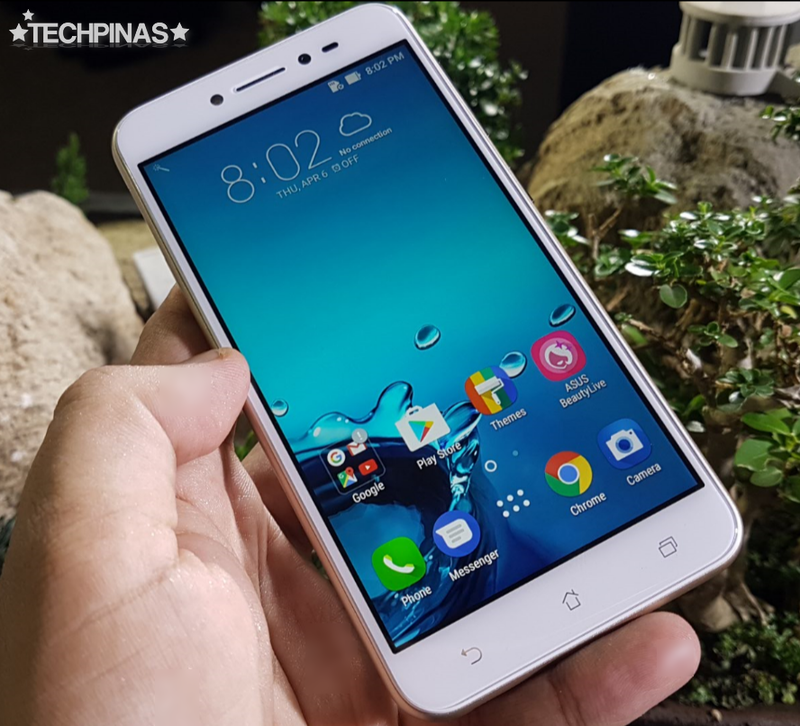 You have the relatively thin bezels and the three capacitive touch buttons below the delay for navigating the interface. On top, we'll find the 3.5mm audio jack and a pinhole for one of the stereo microphones. 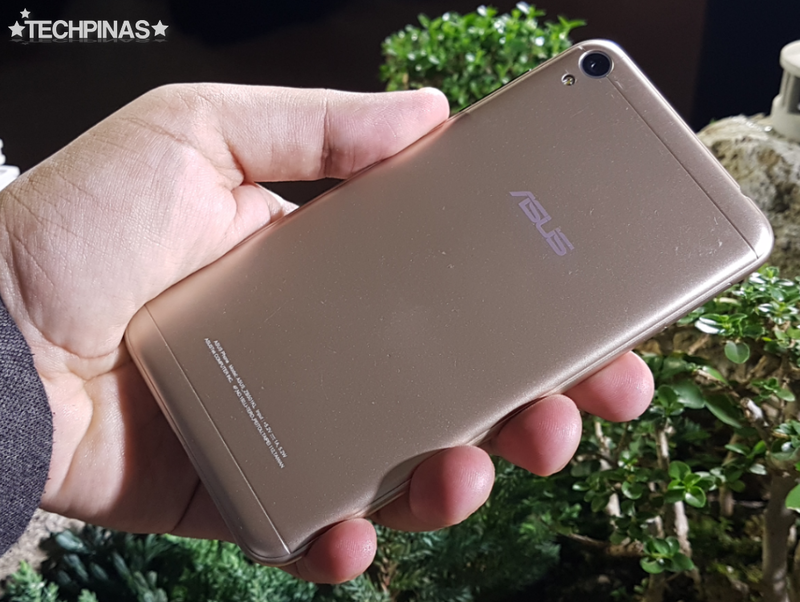 Asus ZenFone Live will be available at all Asus Concept Stores and authorized retail channels across the country starting this month, April 2017. 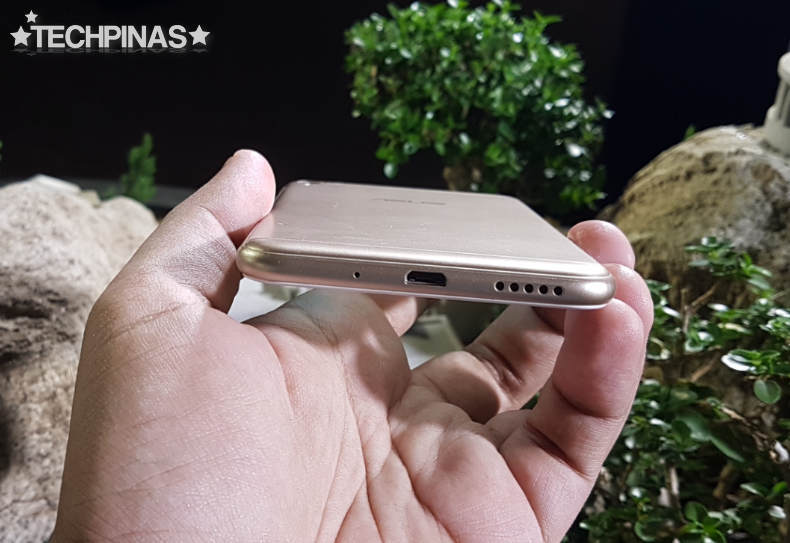 Donning an SRP of only Php 6,995, this smartphone will be out in a number of colors, including Shimmer Gold and Navy Black.